Given the media attention given to the U. S. large-cap financials (e.g., JPM, MetLife, AIG), Canadian investors can’t be faulted for sometimes neglecting to diversify into the very large and varied1With over 500 U.S. mid-cap financials and a combined market cap in excess of US$2 trillion, the U.S. mid-cap financials investable universe is actually larger than that of the Canadian equity markets. mid-cap financial sector south of the border. 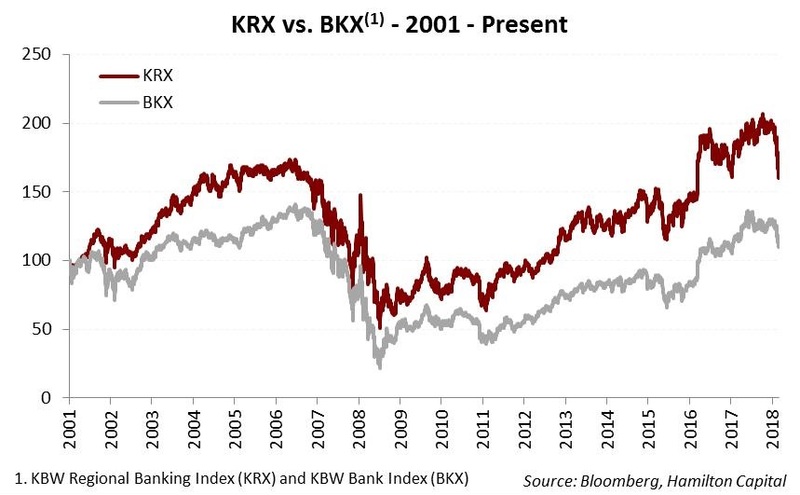 That said, in our view, investors should not overlook this important sub-sector given its long-term history of material outperformance relative to its better known large-cap peers, as evidenced by the chart below (comparing the performance of mid-cap (KRX) and large-cap BKX) banks2The chart plots performance of the KBW Regional Bank Index (KRX), an index comprised of mostly mid-cap U.S. banks, vs. that of the KBW Bank Index (BKX), an index consisting of the largest U.S. banks. Notwithstanding the fact these are bank-only indices (vs. all financials), they serve as useful proxies given their longer history than comparable financials indices.). In fact, although the mid-caps have underperformed their larger peers since 2017 (despite superior EPS growth), they have outperformed in 10 of the last 18 years. And the last time the mid-caps underperformed for two consecutive years, they outperformed the large-caps by over 15% in the following year. So what is the source of the long-term outperformance? In our view, the most important contributing factor to this outperformance has been the gradual consolidation of the U.S. financial sector. This trend began in the early 1980’s and we believe will likely persist at least for another ten years. 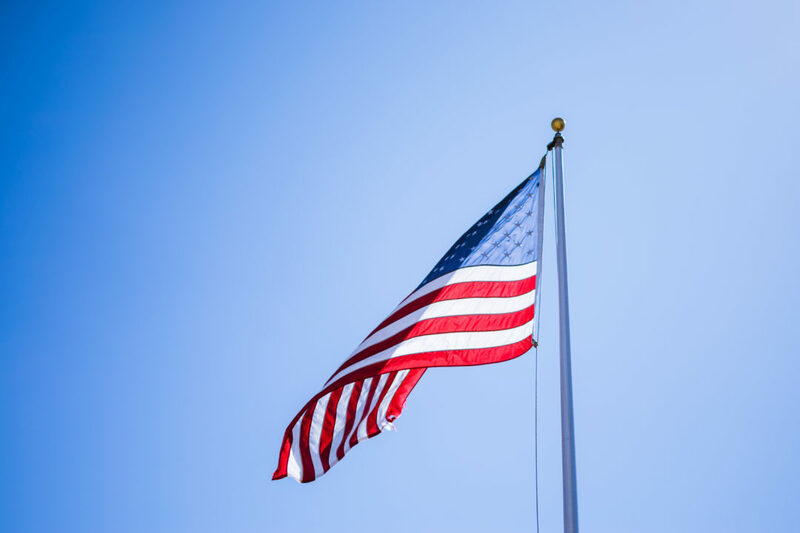 It is one of the most attractive themes that we believe will impact the Hamilton Capital U.S. Mid-Cap Financials ETF (USD) (HFMU.U) in the next two years. In addition, we believe the ETF will benefit from higher growth from geographic customization (i.e., tilted to higher growth regions), as well as the greater rate sensitivity (of mid-caps, vs. their large-cap peers).